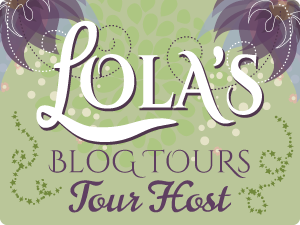 Fabulous and Brunette: Gun Kiss by Khaled Talib - Book Tour - Book Sale - Book Trailer - Guest Post - Giveaway - Enter Daily! 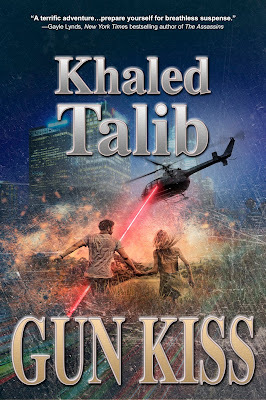 Gun Kiss by Khaled Talib - Book Tour - Book Sale - Book Trailer - Guest Post - Giveaway - Enter Daily! Hello lovelies! It gives me great pleasure today to host Khaled Talib and his new book, “Gun Kiss”! For other stops on his Goddess Fish Promotions Book Tour, please click on the banner above or any of the images in this post. Be sure to make it to the end of this post to enter to win an Amazon Kindle Fire Tablet!! Also, come back daily to interact with Khaled and to increase your chances of winning! Please note that this giveaway is only available to US and CA residents. Sorry INTL – please check out other giveaways on this blog. The novel was written on a whim. I couldn’t sleep one night and decided to watch some TV. I had gone jogging earlier that morning and I started having cramps in my legs. Unable to sleep, I rubbed some ointment and decided to watch an old movie. Maybe it was the quietness of the late night, but as I kept watching this famous actress, an idea came to write a cocktail of a thriller —a dash of romance, lots of mystery and action, twists and breathless suspense. There’s also plenty of humor, so here’s a protagonist who does battle with the Russian military then goes home and must wrangle with the neighbor because… (I can’t say more because it might spoil the story) then he’s off to rescue a movie start from a Mexican drug lord in Tijuana while managing the rest of his life and business. I felt a rush as I worked on the novel non-stop, enjoying every moment of it with intention of making it a fun and breezy read. And that would explain why my protagonist owns a restaurant in Sunset Boulevard, lives in the Hollywood Hills area and hangs around in Los Feliz with a movie star. Readers generally tell me that my stories feel like they’re watching a movie, especially the way I describe scenes. So, I thought, why not write a novel inspired by a Hollywood character. Interestingly, I had pitched my first novel to Creative Artists Agency in Los Angeles through a movie agent, and it was read by a famous movie director. Though the option was rejected, the idea paved the way for me to insert some scenes into my new thriller’s storyline. If you like nonstop burst of action, suspense and twists, I say don’t give Gun Kiss a pass. In their review of the novel, Midwest Book Review advised readers to “take a deep breath before reading Gun Kiss.” You’ll understand when you pick it up. I warned you. We’re talking movie people, drug lords, FBI agents, Russian military and specialists with scenes in California and Mexico to give it an exhilarating read. Obviously, the ingredients sound familiar, but it’s the way the story is written that makes a difference. You’re not just reading a novel, you’re watching a movie inside a book. Khaled will be awarding an Amazon Fire 7 8GB Tablet to a randomly drawn winner via Rafflecopter during the tour. The prize is limited to U.S. and Canada only. Hope you enjoy the read, Rita. I'm looking forward to checking this one out! I hope it meets your expectations, Victoria. Thanks for hosting me, Ally.